Premiering in July 2009, this new on-going series has been chilling readers to the bone for four issues now. Beginning with the free preview The Ghost of Mary Shelley, the series most recently featured Sherlock Holmes and his stalwart companion John Watson tackling the depravities of the Lodge of Bellorophon through the Chimera story arc. Issue 4 is due in January 2010 and will bring a slight detour for the avid reader, focusing for a while on the mysterious office occupied by Mycroft Holmes. Mycroft, the keeper of so many secrets, has some terrible things to tell you – so listen closely. While Dark Detective has largely been available only through Australian newsagents, that is about to change in January 2010 when interested readers will be able to order the printed comics directly from Australian publisher Black House Comics. In the meantime, you can download the preview issue The Ghost of Mary Shelley as a PDF file by clicking here. Christopher Sequeira has written for Marvel, DC, BOOM! Studios as well as being responsible for numerous independent titles. His Holmes work has been featured in Gaslight Grimoire: Fantastic Tales of Sherlock Holmes ("His Last Arrow") and he is a member of the Sydney Passengers. Check out his blog at www.comicbookwriter.blogspot.com. Phil Cornell is a commercial artist who, while never having drawn for comics before, has become well known for his faithful renditions of Arthur Conan Doyle’s world. His fine story illustrations and frontispiece graced the pages Gaslight Grimoire: Fantastic Tales of Sherlock Holmes and he also provided cover art and interior art for Curious Incidents Volumes 1&2. Dave Elsey is an Oscar nominated special effects artist who has worked on everything from Hellraiser to The Wolfman. 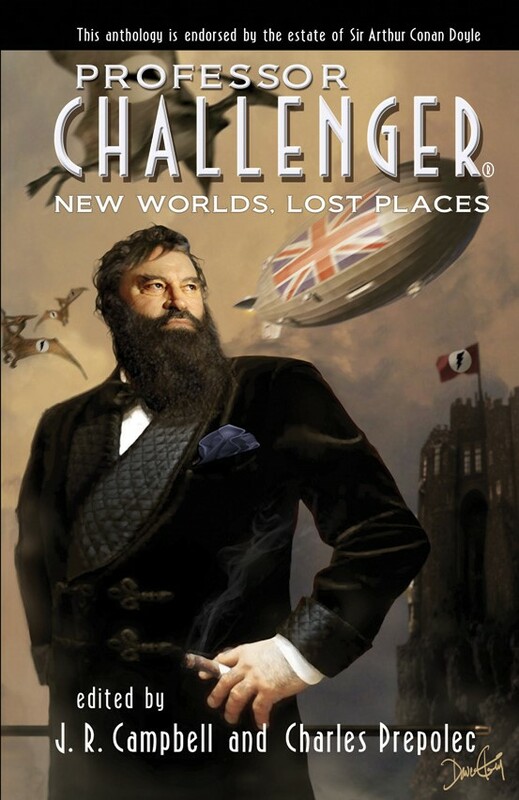 His amazing covers bring forth a different side of Holmes and show both the man and monster within. Dave is also co-creator of the title and works the digital magic evident on each and every page. 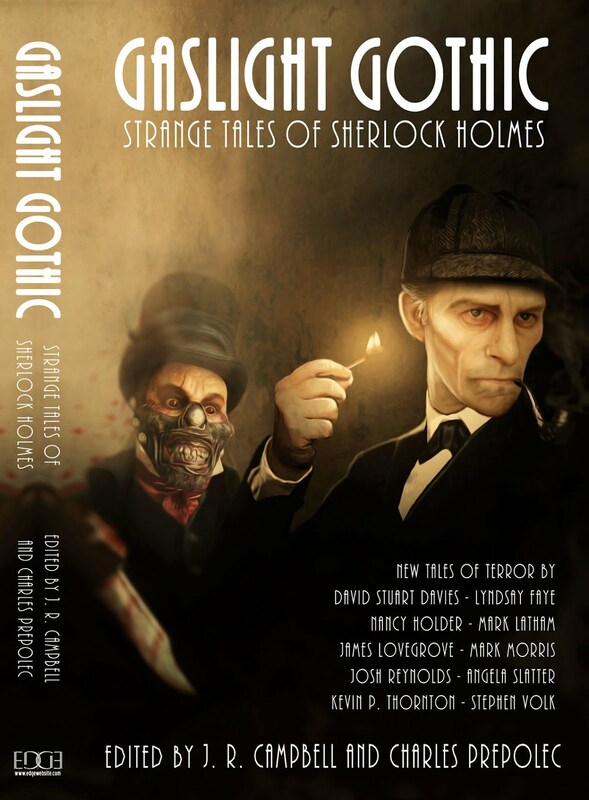 Dave has also provided the cover art for the forthcoming book Gaslight Arcanum: Uncanny Tales of Sherlock Holmes. A talented team loaded with skill and imagination! These folks know their Sherlock Holmes and bring a wonderfully dark 'classic horror movie' sensibility to this project. If you love Sherlock Holmes, classic Universal monster movies and the output of Hammer Films Studios...this is definitely for you! Visit Black House Comics for more details! Unsuspecting travellers at one of the UK’s busiest stations were joined by one of the world’s most famous names this morning when Sherlock Holmes came home to Baker Street. The Holmes in question was a startlingly lifelike wax figure of Robert Downey Jr in his latest role - on a brief sojourn before taking up residence at Baker Street’s other famous name, Madame Tussauds. The figure portrays Downey Jr in the strikingly modern spirit of the much anticipated new Warner Bros film, Sherlock Holmes, premiering in London on Monday (14th December). Dressed in a replica of one of the movie costumes the figure will be featured at the world famous attraction in a set inspired by the film – complete with some very contemporary interactive twists for guests to enjoy. Robert Downey Jr as Sherlock Holmes will star at Madame Tussauds from 14th December. Sherlock Holmes opens in UK cinemas on Boxing Day.